If you’d like a release alert for when Susan has new books available, click here for the sign up form. This will not sign you up for her newsletters and is intended only to let you know about new releases as soon as they are out. You will also be able to select which format/retailer you prefer for getting notices. Darkness Haunts popped up on my kindle as a potential interest and I am so glad it did. I love the characters in the book especially Melena and Lucas. I cannot wait for the novella and next book. This is one of my new favorite series! This series is probably the best I’ve ever read. Does anyone know any good fiction books to help occupy the time between now and the release of Chained by darkness? To the author……I love these books. Thank you. For the record, I totally read all of the Imp Series books (the series starts with A Demon Bound for anyone who has no clue what I am talking about) because of your excerpt. Um… it was hilarious. The “heroine” is so funny and non traditional. I didn’t think I would like it when I just read the description, but after the excerpt? I was hooked. Thanks for sharing, would NOT have read it otherwise! Thanks for letting me know, Ashley. The Imp Series is one of those ones I consider a gem just waiting to be found. One of the reasons I asked Debra to let me post the excerpt at the end of my book. The humor is the best part and I don’t think I’ve ever seen a female demon I could actually like until that series! These are awesome books always looking for something new to read and absolute glad to find this series can’t wait for more . Thanks for dropping by, Alicia. Glad you’ve enjoyed the series! I loved this series!!! Just finished! Can’t wait for book 3!! I love your books. I cannot wait for more. I devour books. Keep them coming. Thanks, Bonnie. I will certainly do my best! Omg!! It’s here!!! Thank you susan! I’ve got my copy and I am super excited to read it! Hope you enjoy it, Dawn. I had a lot of fun writing it…maybe a little too much fun, lol. I finally finished!! I loved it!! Cannot wait till the next installment!! Darkness Divides was my “happy finishing graduate school” present to myself when my last assignment was completed. It was really hard waiting to read it, but well worth it. Looking forward to the next book! 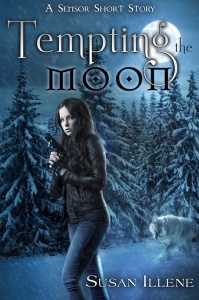 Loved your series, just finished book 4 and am looking forward to the next one. Curious about Nik and the pixie and where that story line is going, but Mel and Lucas are my favorites! Thanks, Doreen. There’s definitely more to come! 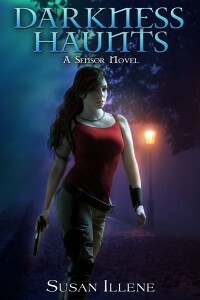 Just saw the cover for playing with darkness! Love it! Can’t wait to read! Glad you are enjoying the series, Ken! Book 3.5 is still due out at the end of the month. 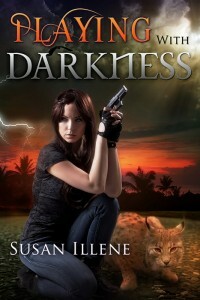 Susan thank you for the free copy of playing with darkness!! I literally rolled out of bed and read it!!! And I loved it!! Can’t wait till book 4 is released!!! Thanks, Phyllis! I’ve begun work on book four and can honestly say it’s going to be intense. This series is awesome. I enjoy the characters and the story they are telling. I am so glad this popped up in my suggested books it is exactly the type of book I love to read. I simply cannot wait till book 4 and will be hoping it is out sooner then later so I can read it on vacation! Thank you for creating a whole other world to become addicted too. I love this series and can not wait for the next installment. Thanks for stopping by to let me know, Craig. Glad you’re enjoying the books! August 30th can’t get here fast enough!!!!!!!!! Counting down the days!! LOVE this series!!! Reading 3.5 now and can’t wait for the next one! Thanks, Bernadette. I’m happy you’re enjoying the series! I love this series!! 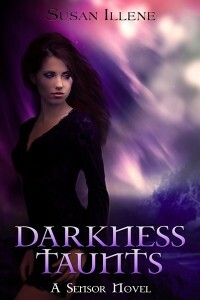 I just finished reading the last book and can’t wait to read DARKNESS SHATTERS. I just love Melena and Lucas. I can’t wait to see what Melena gets herself into in the new book. Thanks for your patience, Annette, and glad you’re enjoying the books! From now on I’m handing over paperback formatting duties to Createspace (who did Darkness Divides and Darkness Clashes). They’re faster than me and can get it done in about a week. You shouldn’t see these long waits anymore. I love your books. I’m hoping you’ll continue to write this series for a long time. You are awesome! Thanks, Olivera. There’s just two full-length novels left in the series (books 5 & 6), but I will be doing spin-offs with other characters after that so you can still check in on Lucas and Melena. I’ve just finished darkness shatters go to say I think it may be my favourite book of the sensor series yet! This one really put me through an emotional roller coaster especially the ending! Good grief I don’t think I will stop biting my nails until the next instalment! Just wanted to stop by and say how much I enjoy the series, I’m hoping that when you say there will be spin offs that you might do something with Kerbasi, I think there is definitely far more to him than we have seen and I would love to see more! Hey Nikki, you are not the first person to tell me Kerbasi needs his own book in recent weeks. Though I enjoy writing his character I never imagine so many people would grow fond of him! There’s nothing specific planned at this time, but there are some ideas I’m allowing to swirl in my head at the moment. The first spin-off absolutely has to be Cori’s because of plans I have for her. Micah is supposed to be the next one, but I’ll have to see if Kerbasi takes precedence or not. I just came across this series and I couldn’t put it down. I read books 1-5 in a week! I love the characters and all the situations they get into. Can’t wait for the next one! Wow, you got through them quick, Jodi! Happy you are enjoying the series. Hi! I am in love with your sensor series! When will the next book after darkness shatters come out?? I love these books. I love how you refer to some military skills. I am a veteran and feel pride in this book because they are wonderful and you are a veteran as well. The sensor series, is my all time favorite series. I enjoy all the characters so much, it is almost like i know them all. 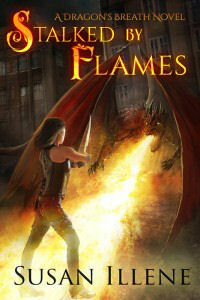 I love the first book of the dragons breath series Stalked By Flames! I downloaded it today and just finished it!! I hope book 2 come out soon! Glad you enjoyed Stalked by Flames, Nicole. I’ve got a novel from my other series I’m releasing in late October, but after it’s out I’ll work on book 2 of Dragon’s Breath next. Dancing with Flames should be out in February of next year. Book 3 will come out after that in the summer. 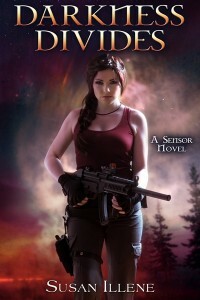 The Sensor series came up on Audible as something I might like. I love these characters!! I have listened to all of them and I cannot wait for Darkness Wanes. I am so curious to see what happens next. Thanks, Stephanie. Glad to hear you’re enjoying the audio! I’m from Alaska (recently relocated to AZ) and a year ago decided to test drive the first Sensor book – then went on a binge. I could not put them down. LOVED them – especially with the Fairbanks setting. Can’t wait for the next one. I really enjoyed Stalked by Flames as well. I am anxiously awaiting the next in both series. I appreciate the earlier posting from 2013 for other series/authors to fill in the time. I plan to check them all out. Glad you are enjoying both series, Mary. At the moment I’m working hard to get Darkness Wanes finished and looking forward to getting started on the next Dragon’s Breath book after that. Hope you find some good books to check out in the meantime! I really enjoyed both series, but Dragon’s breath is by far the superior of the two series, at least to me, even if it’s not finished yet. The Sensor series, while really well thought out and written, started getting too predictable, but I still read all six book without the extra novella’s in four days. But Dragon’s breath that is where my heart went, you transformed our world into something else and I am for one very excited to see what will happen next. The main character and her side-kick are hilarious and Aidan is very interesting. So yeah I can’t wait till I can read the third installment. I love the books! I read in one of the author’s notes that there is a short story Facing the darkness in A very paranormal holiday, but I can’t find it anywhere? Is it available? Hello, Jennifer. The period for the anthology to be available ended earlier this year. I am revising Facing the Darkness now and will be re-releasing it on its own November 30th. You’ll be able to pick up your copy then!